Capital Hike Requirements Could Shutdown Insurance Companies in the Philippines – Should You Worry? There is a struggle going on right now in the insurance industry of the Philippines. 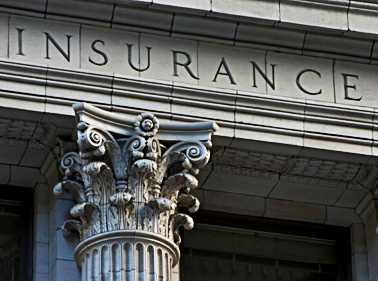 It involves a fight between the insurance companies and its regulators in the implementation of a previous order by the government to increase the capital of the insurers. It’s no ordinary fight because it could mean the end for a few of these insurers. So they are giving it all they’ve got. According to recent news, ten of the non-life insurance companies took the issue to court. They demand a restraining order to the implementation of the new regulation. This came only after they realized that they would not meet the 2011 requirement of 175 million pesos of paid-up capital. Failure to comply will mean they would not be able to operate by July of this year. The Department of Finance, led by its head Secretary Cesar Purisima, and the Insurance Commission (IC) are pretty adamant to stick with the regulation. I don’t think they will back down so we could expect the end of some small insurance companies. That or they could opt to merge with other small insurance firms. I could care less about what happens to these insurance companies. I tend to side with the regulators because we all know what happens without caution in the finance industry. Pre-need companies that went under are good examples. It brings heavy financial burden to those who are victimized by mistakes, errors or even greed by businesses. What it Means for Your Policy? However, when I read the list of non-life insurance companies suing the government I realized my third-party liability insurer was one of them. Makes me think this company is in danger of losing its license by July. I was worried so I called the IC to know what happens to my policy when the insurer shuts down. Fortunately, the existing regulations include a requirement for the insurance companies to provide security deposits. I was told that in the event that an insurance company stops operating, the IC will take over the existing policies to provide claims with appropriate benefits. So it would not really be a risk for the public to buy a policy from any insurance company as long as it still has a license to operate. Even if you didn’t know this company will get in trouble in the future, it would not mean you’re policy will be useless. Visayan Surety and Insurance Corp. Milestone Guaranty and Assurance Corp.
R & B Insurance Corp.
Philippine Phoenix Insurance and Surety Corp.
Insurance of the Philippine Islands Co.